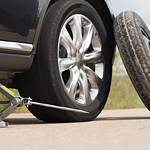 Replacing a flat tire on your vehicle is a breeze when you follow these simple steps. Don't leave the disabled car on the road, ride the rime a few feet to get to the shoulder and out of harm's way. Loosen all the lug nuts one turn before the car gets jacked off the ground. After the vehicle is in the air loosen and then remove the lug nuts, then set the flat tire off to the side. 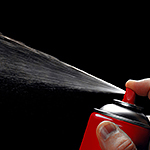 If you are like typical motorists, you consistently desire to make the operation of your vehicle safer. 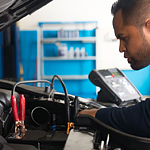 You also desire to save money on the operation and ownership of your car. One tactic that you can employ is to obtain regular alignments. 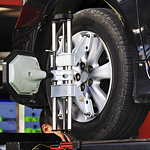 One of the benefits associated with regular alignment is a safer operating car. Proper alignment ensures that your steering wheel will function in an optimal manner. Imagine breaking down on the highway and not having the supplies you need to get by until help arrives. 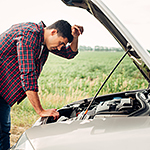 Being unprepared for a roadside emergency can make a bad situation seem even worse. Stop at Auto Express KIA and check out our roadside emergency kits and supplies we have on hand. While there's never a good time for your car to break down, it's especially inconvenient when you have small children depending on you to arrive on time at school. 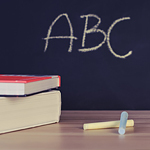 Keeping your car ready for the school year can also save you money on expensive repairs down the road. Are Summer Tires Better than All Season Tires? 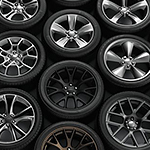 While all-season tires perform well in cold and winter weather, they don't offer as much grip as summer tires do. This can cause some issues with cornering capabilities, as well as breaking. However, all-season tires still provide great traction during winter months, but these are not the best tires to use during extreme weather conditions.